Is Cocaine Addictive? How Addictive is Cocaine? What Are the Signs and Symptoms of Cocaine Addiction? Cocaine, a powdery stimulant that offers a quick high, is increasingly accessible due to a massive price drop. Indeed, cocaine prices have fallen by a record 80% over the last 30 years, just as prices for virtually everything else have risen. This dangerously addictive drug can wreck your life, but treatment offers hope for recovery. Cocaine, like other mind-altering substances, is powerfully addictive. The process of addiction begins with the pleasurable high new users get with their first use. If they continue using, the body steadily develops a tolerance for cocaine, making the user feel less high than he or she once did with a lower dose. Users often respond by taking progressively higher doses, leading to a strong chemical dependency. Once you're physiologically dependent on cocaine, your addiction is akin to a disease, and the symptoms you experience when you attempt to quit using are unpleasant, further driving continued use and making it all the more difficult to stop. Some reports suggest that as many as 17% of users of cocaine get hooked. This makes cocaine slightly more addictive than alcohol and slightly less addictive than heroin. Addiction is a progressive disease, which means the symptoms start out relatively minor, progressively getting worse. You may experience all of the symptoms of addiction or just a few, so don't assess your addiction according to how many symptoms you experience. Find Recovery Now If you see these signs in yourself or someone you love, don't wait to get help. Aggressive or violent behavior on cocaine or when you're trying to get it. Using cocaine as a performance-enhancing drug. Experiencing physical or psychological withdrawal symptoms when you try to quit using cocaine. Using cocaine to cope with physical or mental health difficulties. Suffering legal, medical, relationship, or career problems as a result of your cocaine use. If you notice these signs in yourself of a loved one, don't panic. Addiction is a progressive disease and abstinence is easier to achieve if it is dealt with in the early stages. Only you can adequately assess whether you're an addict, but you do need to know that denial is part of the problem of addiction. If you find yourself rationalizing away your symptoms, attempting to reassure yourself you're not actually an addict, this is a strong indication that you have a problem. Likewise, if loved ones have asked you to seek treatment, your life has gotten worse or more chaotic since you started using cocaine, or you structure your life around your use of cocaine, you're almost certainly an addict. If someone you love is an addict, you cannot force him or her to quit cocaine or get into treatment. Even if you could, it likely wouldn't work, since addicts only get better when they're ready to--not when someone else tells them to. What you can do is stop enabling the addiction by making it more difficult to continue abusing cocaine. Refusing to give your addict money or a place to stay if they continue to use drugs. Making your feelings about the addiction clear. Offering to help your loved one find treatment. Sometimes an intervention, which relies on peer pressure and lots of love, can get an addict to finally see the light. Be prepared for the addict to reject you, but stick to your guns; setting clear boundaries will protect you and may be the only thing that gets the addict to finally enroll in treatment. 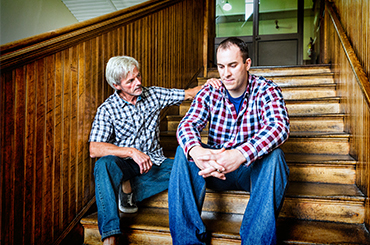 An intervention is a relatively simple undertaking with the power to radically change lives. It begins with each member of the group--which usually consists of those closest to the addict--sharing the ways the addiction has affected their lives. For instance, an addict's daughter might talk about how mom never comes to her school plays or teacher conferences. From there, each member will share what they are going to do differently if the addict refuses treatment. A spouse might plan to leave and take the children. A mother might refuse to continue giving her child money. Finally, the group strongly encourages the addict to get treatment. The goal here is to make seeking treatment feel like the easier option compared to avoiding treatment. 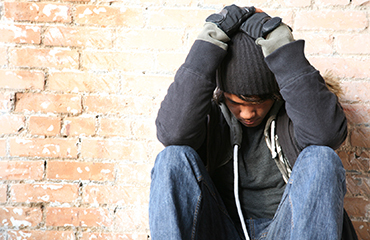 In most cases, the addict goes to treatment immediately after the intervention, but in some cases, it may take a few days for the intervention to sink in. If your loved one abuses cocaine, 12-step programs such as Narcotics Anonymous and Cocaine Anonymous can help him or her get clean and sober. But what about family and friends? Cocaine addicts may be aggressive, neglectful of their loved ones, and irresponsible in fulfilling their familial duties. They may even abandon their loved ones entirely. If you need help living with the pain of loving an addict, a Nar-Anon family group can help you learn to cope. By working the program, you'll steadily gain insight in the disease of addiction, the specific ways cocaine affects addicts, and what you can do to help yourself and your loved one. A number of Cocaine addiction treatment options can help you get--and stay--sober. Outpatient 12-step programs such as Narcotics Anonymous are by far the most popular option. These programs are free, with meetings occurring throughout the day and week. Some addicts also find that therapy, the support of a compassionate doctor, and lifestyle changes help a great deal. If you're worried you won't be able to get sober on your own, consider inpatient rehab. Rehab blends a unique combination of medical care, therapy, and group support in a safe, supportive, and drug-free environment. Even better, you can choose from a variety of programs. Luxury programs, for instance, offer treatment in a spa-like setting, while executive programs offer you the chance to continue working and meeting with clients as you recover. If you're not ready for inpatient care but want something more supportive than therapy or 12-step programs, consider intensive outpatient or partial hospitalization programs. This approach blends the comprehensive care of inpatient treatment with the chance to go home at the end of each day. No two Cocaine addicts are alike. Some choose this powerful stimulant as a performance enhancer. Others use it to induce a sense of euphoria or to boost their self-confidence. Consequently, no single treatment approach will work for everyone. Be sure to ask plenty of questions, since a good treatment program will be happy to talk about its approach. Ask about what you can expect from treatment, how long treatment will take, what you can do to improve your odds of recovery, and about anything else you'd like to know about recovery. The battle against cocaine addiction can be challenging, but it is winnable--if you're willing to seek the help you need. Call 1-888-993-3112Who Answers? now to speak confidentially to a treatment support specialist who can guide you toward the help you need.